Air shows, it has been claimed, were the second-biggest participation events in Britain during the twentieth century after football matches. They began soon after man first took to the air and, more than a century later, are still as popular as ever. The public debut of the Supermarine Spitfire to air shows came at the opening of Marshall’s Aerodrome in Cambridge in 1938 when Spitfires from RAF Duxford attended the celebrations. IWM Duxford is still considered home of the operational Spitfire today. 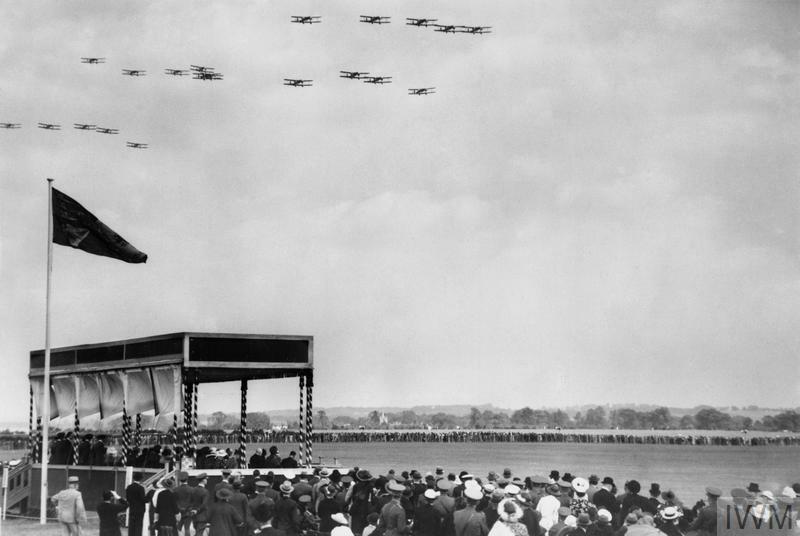 The RAF in 1935 chose RAF Duxford to be the centre of King George V’s Silver Jubilee celebrations, with a flying display attended by the King himself. As the RAF began to expand during the late 1930s, annual Empire Air Days were held at airfields around the country. The 1937 Empire Air Day drew a total of 353,000 spectators. RAF Duxford was one of the participants, treating its visitors to aerobatic training displays, a mock-dogfight and a demonstration of blind flying. IWM Duxford continues to celebrate the history and heritage of RAF Duxford with its air shows. 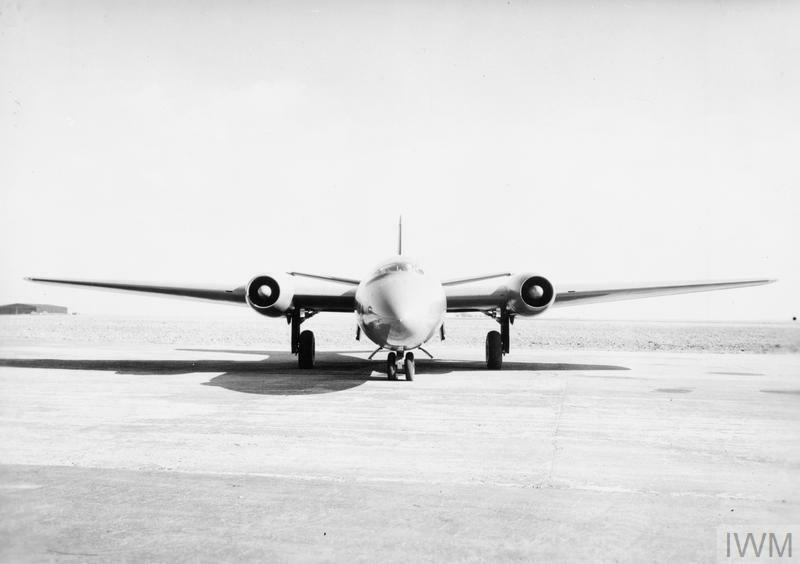 The peacetime RAF was keen to take advantage of the goodwill it had built up during the war. Every September it marked the anniversary of the Battle of Britain by holding ‘at-homes’ at large numbers of active flying stations all over the UK. Each air show was organised locally to raise money for the Royal Air Force Benevolent Fund and the crowds flocked in. 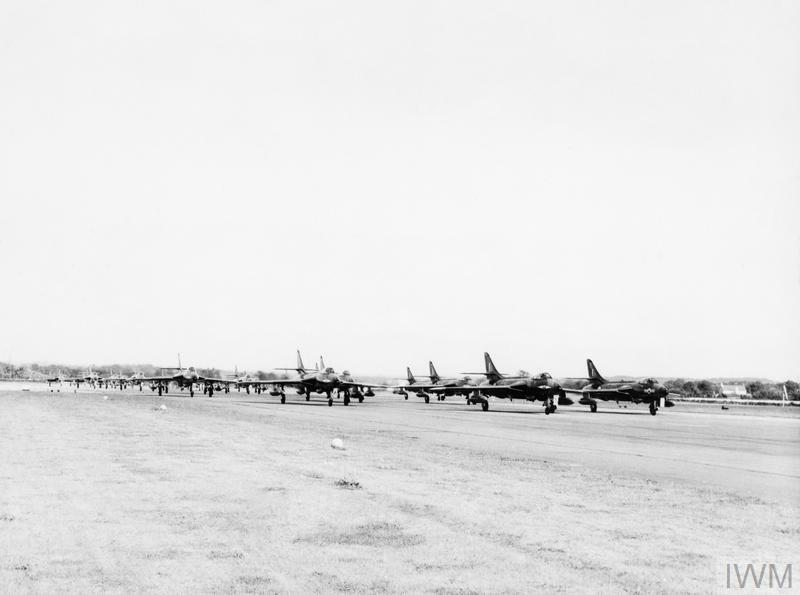 RAF Duxford welcomed an estimated 23,000 visitors in 1955, who not only enjoyed the flying on offer but also purchased no less than five hundredweight (560 pounds or 255 kilograms) of ‘RAF Duxford at Home’ rock. In 1973 Duxford staged a single air show to bring back the history and heritage of popular flight to this historic airfield. This single air show quickly became a permanent fixture in the air show calendar. 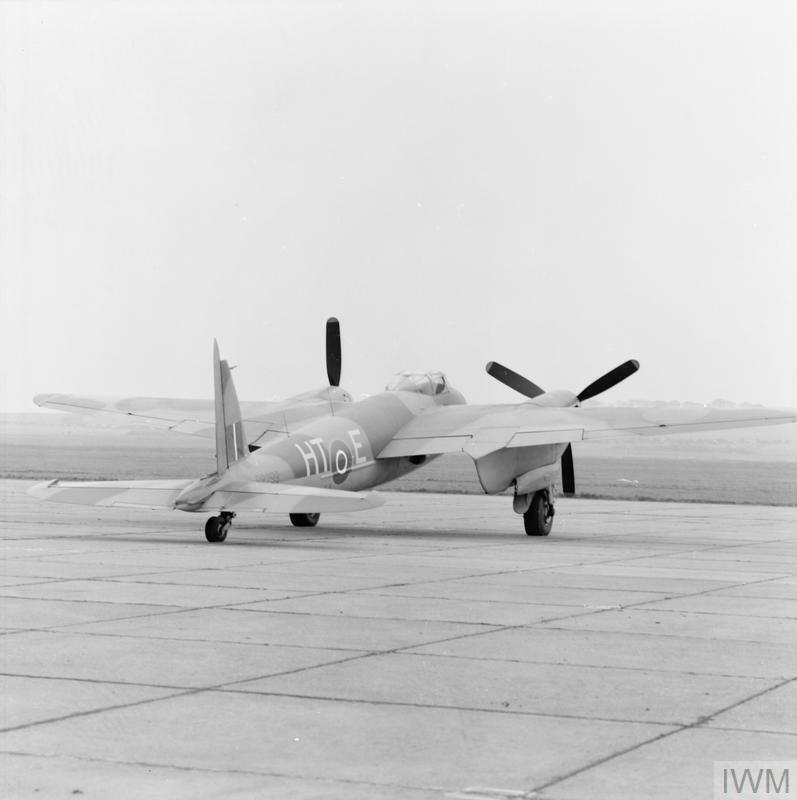 At the same time many of the pioneering warbird operators based themselves at IWM Duxford and before long this historic airfield became synonymous with warbirds in Britain. 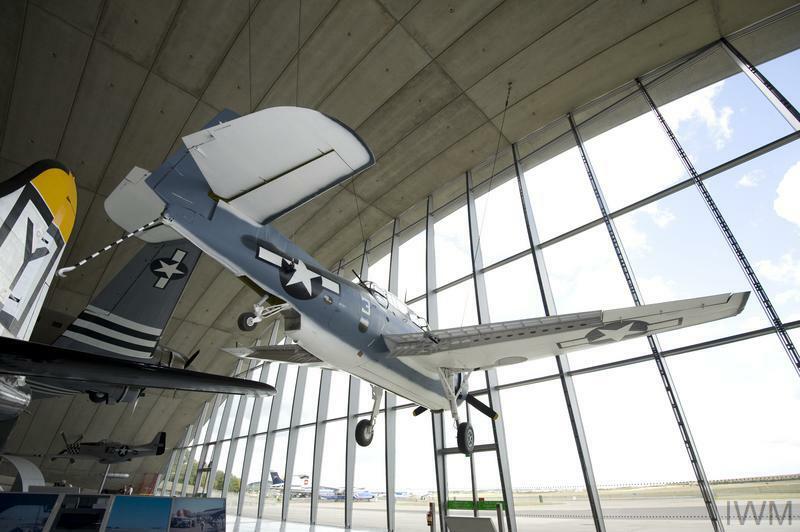 The heady combination of historic aircraft, modern jets and aerobatic displays at the site of one of the biggest and best aviation museums in the world is one that shouldn’t be missed. A huge boost to the preservation of historic aircraft came with the filming of Battle of Britain at Duxford in 1967. 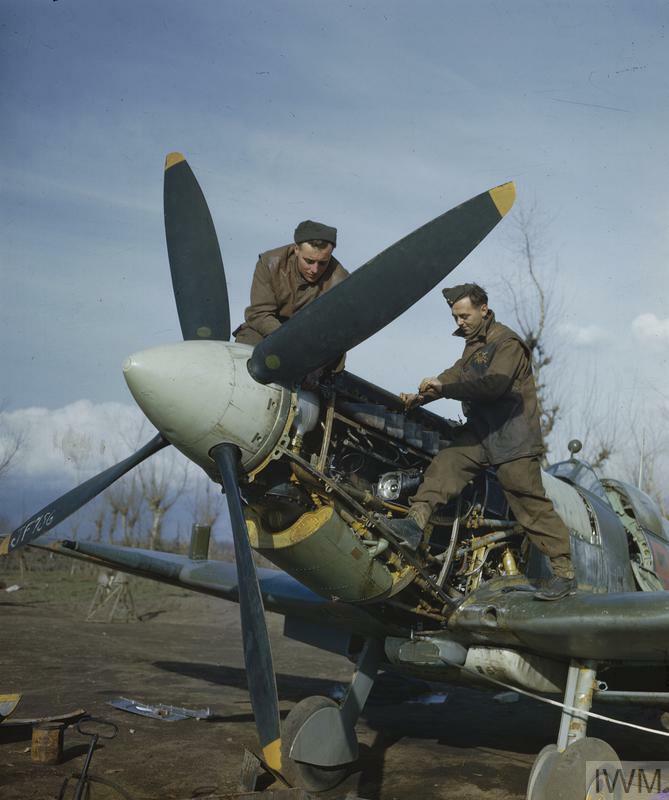 Many surviving examples of Spitfires and Hurricanes were restored to flying condition to take part in the filming, and these soon became the founding aircraft of the embryo “warbird” movement. In addition numerous ex-military jet aircraft, from fighters like the Hawker Hunter to bombers such as the Avro Vulcan and the English Electric Canberra, have made their way into private hands and actively participate on the air show circuit. The ever-increasing number of warbirds has added potency and spice to air shows. In the 1960s the sight of a Spitfire in the air was a rarity and American warbirds were mostly conspicuous by their absence. Now there are more airworthy Spitfires than at any time since the early 1950s and spectators can feast their eyes on a variety of historic aircraft at historic Duxford. By 1975, the venue was very much in the vanguard of what soon came to be known as the UK’s warbird movement, the Imperial War Museum having offered a home to private operators of historic aircraft. Evidence was on show at the ambitious two-day Duxford 75 display. 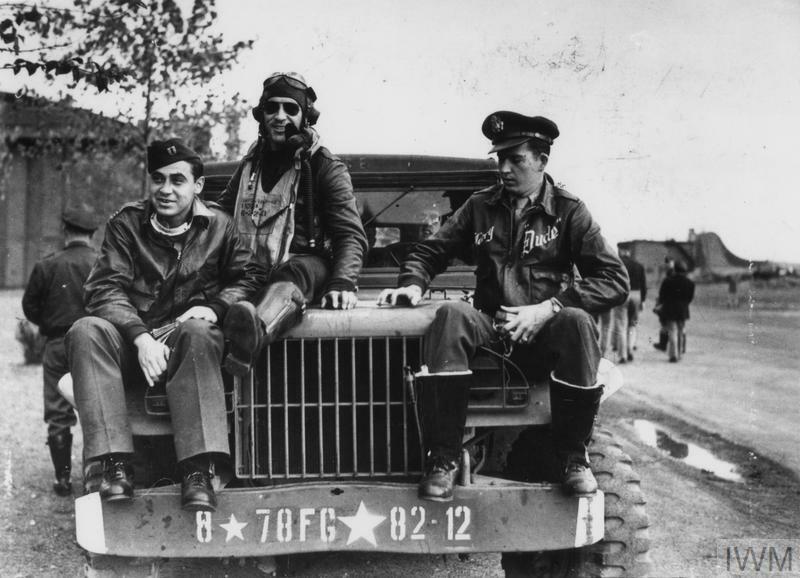 Having arrived weeks previously, B-17G Flying Fortress Sally B was displayed at its new base for the first time, while Ormond Haydon-Baillie presented in typically spectacular fashion his CT-133 Silver Star and Sea Fury FB11. 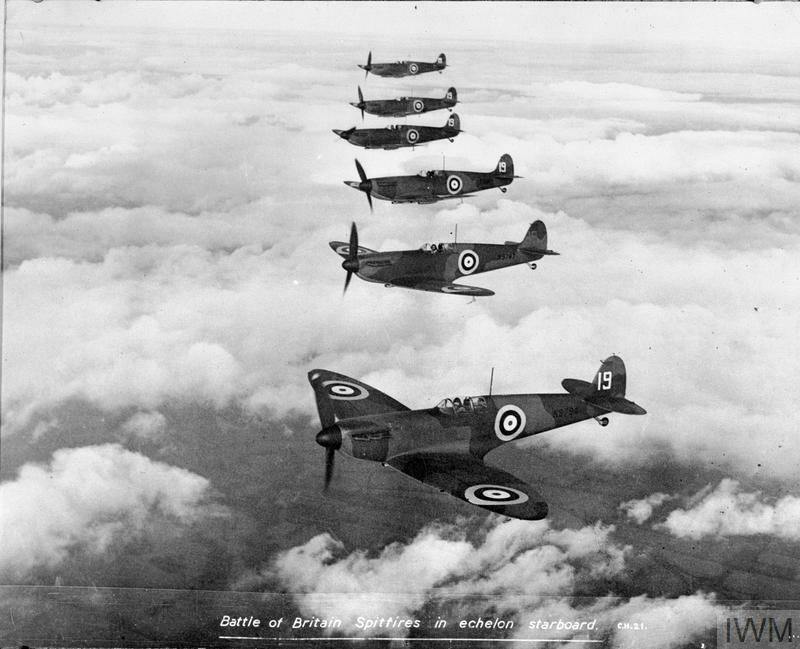 And very special in this era was a line of five Spitfires. Just one was Duxford-based, this being the Shuttleworth Collection’s Spitfire LFVc AR501, newly restored at the airfield and making its public flying debut. Alongside stood LFIX MH434, then owned by Sir Adrian Swire, The Hon Patrick Lindsay’s Ia AR213, John Fairey’s unique T8 G-AIDN and Rolls-Royce’s FXIVe RM689. All at some point flew, and a multi-ship formation was mounted as the finale. Symbolic of Duxford’s new home at the centre of a burgeoning air show scene. In 1976, Duxford became part of Imperial War Museums and has grown in stature since then. More than thirty of the buildings on the Duxford site now have listed status, being of historical and architectural significance. The dedicated museum space on the site has also grown, housing not only some of the most famous aircraft in the world, but also land and sea artefacts as well as materials such as films, photographs, documents and smaller artefacts that tell extraordinary stories. In 1997 the Stirling Prize-winning American Air Museum was opened to commemorate the role of American air power in the Second World War and the Cold War. The Norman Foster-designed museum houses extraordinary aircraft, including the only SR-71 Blackbird on display outside of the US, and the stories of the men and women who served in the United States Air Force at Duxford. The Duxford Air Festival was launched in 2017 to inspire and educate visitors with the wonder of flight. Taking place over the May Bank Holiday weekend, the Duxford Air Festival combines technological innovation with the thrills of fast-paced flying in a mixed programme of aircraft old and new, military and non-military, that reflects the collection of the museum. Duxford Battle of Britain Air Show launched in September 2017 to commemorate Britain’s “Finest Hour” and RAF Duxford's important role as an active Fighter Station during the Second World War. In 2018, as part of RAF100, the Duxford Battle of Britain Air Show welcomed over 50,000 to this unmissable event. During the Battle of Britain, Duxford and Fowlmere had two main jobs - to protect the Midlands and help the fighters of 11 Group when needed. 11 Group was responsible for the south-east of England, including London, and bore the brunt of the fighting in the summer of 1940. 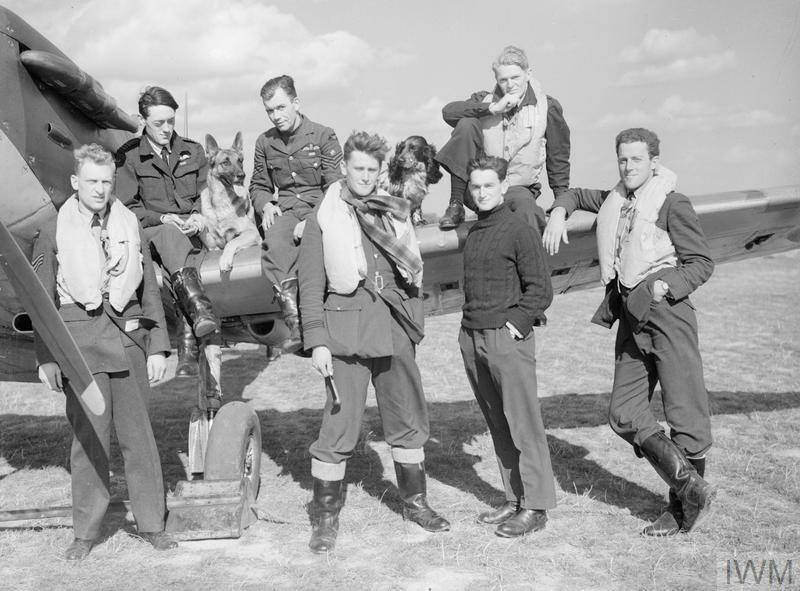 Here are 13 photos that showcase life at Duxford and Fowlmere during the Battle of Britain.